Welcome to CoffeeMakersAdvisor – your ultimate guide to everything related to the world of coffee. Whether you are looking for the best espresso maker or surfing the web to know the ideal tips for making a good cup of coffee – this place is your home. We have been researching and publishing original features and highlighting the coffee culture since the year 2012. We have a network of more than hundred well-researched writers from across the globe, who have covered the latest news, events and cultures related to coffee – from finding the best cafes in your town to making unique and specialized coffees – we have it sorted for you. 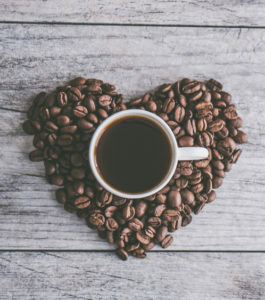 You might think brewing different kinds of coffee could be a complicated task but with CoffeeMakersAdvisor with you, we will help you navigate the world of crafted coffee with ease. We are proudly based out of India but we engage in queries, reader engagements and review appearance with users all over the world. With every passing day we make an effort to publish original articles, guides and reviews to all kinds of things related to the coffee world. It is a content driven resource for coffee lovers around the world and focuses on the intersection between coffee, its culture, its various craft and experiment with the creativity around it. We wish to inspire you to enjoy your coffee in a better way and make you aware with the highest quality beans, at the same time fuel your excitement to brew the perfect quality coffee yourself. So let’s promote and acquaint more and more people to the love of coffee!